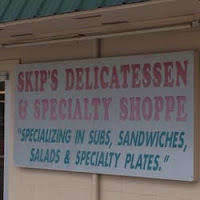 Skip's Delicatessen is a favorite place to east in Lake Butler. I was finally able to visit the place for lunch with some friends. The menu is pretty large, with tons of different sandwiches to try. Every kind of lunch meat is available. They also have meatball subs and Italian sausage subs as well. Salads, cookies and more. One treat that I found were the chips, you can get a basket of chips with pepperings and seasoning on top, it is amazing! The employees are nice, the place is clean, just kind of run down in some spots. When you go, get there early, the place gets pretty packed. 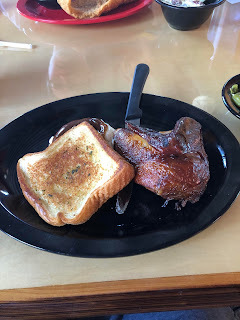 A new BBQ place is in town. Right next to Publix, in the Jonesville area. I decided to give it a try. I went in around 5 PM, and it was fairly busy, but there were a few tables still open. 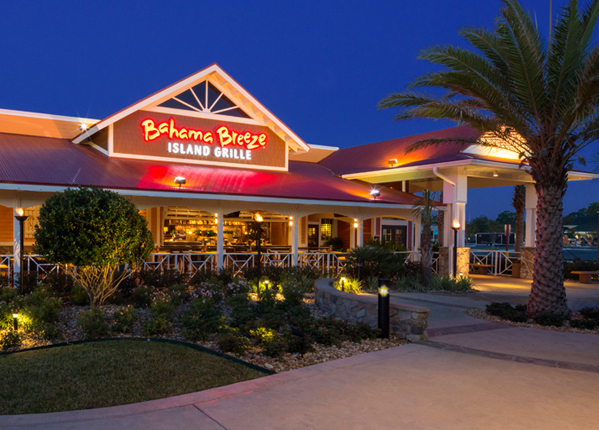 The staff is nice, the place is clean, and I was impressed with the food. I am glad I got there when I did, because the place started filling up quick. They offer salads, sandwiches and more. Some of the entrees they offer are the usual smoked chicken, smoked brisket, pulled pork and more. Sides include mac 'n cheese, garlic green beans, coleslaw, pork and beans and more. They even have dessert. I ordered the brisket sandwich with fries. It was really good. They give you a fair portion for the price, and the service was pretty quick. They have a sweet BBQ sauce on the table, and a Top Hog sauce that has such a unique taste. It is slightly hot, but so good. The place is family friendly, but I did not see a kids menu. They do offer chicken tenders, which is a hit with most kids. You must check this place out. I have been wanting to check this place out for years. I finally had a chance to eat dinner here. First off, the place is in a great location. In a Publix shopping center, with tons of parking and a lot of foot traffic. The place is small, but very nice. It is clean looking, and you do not feel squeezed in. We were seated right away, and given the menu. We ordered vegetable sushi, Niku Udon, and Combo Udon soup bowls. The combo comes with shrimp tempura and veggies on the side. The Niku Udon has beef in it. The portions are huge, well worth the money they are charging. The sushi was excellent. I had a feast in front of me, and we pretty much finished it off. 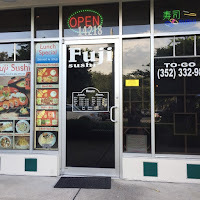 The staff is extremely nice and attentive, and the place had a decent amount of people in it. They do offer some dishes for kids, which is nice for families. Besides sushi, they offer teriyaki dishes, chicken and shrimp curry, ribs and much more. The prices are fair, and I would for sure go back again. I want to do lunch next! 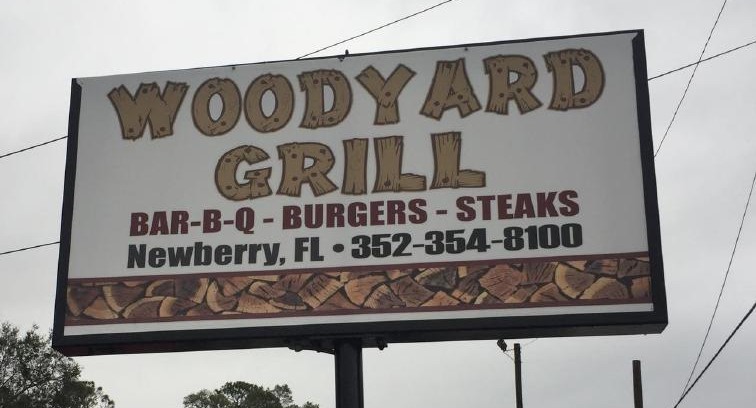 Newberry has a new and exciting place to eat, the Woodyard Grill. We have been hearing about this place for a long time now, and it is finally open for business. I went there for lunch, and was really impressed with what has been done to the building. It is nice and inviting. When you pull into the parking lot, the smell just makes you want to eat everything in the place. The open bar, the outdoor patio, is something Newberry truly needed. We chose to eat inside, and it was pretty busy. The server was really nice and attentive, and the place is nice and clean. There are many dishes to choose from. I'm talking chicken, ribs, burgers, fish, pork chops, sandwiches and much more. I chose the quarter chicken, with mashed potatoes and green beans. The food came out fairly quick, considering that they were pretty busy. I really enjoyed my plate. There are sauces on the table that you can use. It also came with garlic toast, which was perfect. The place is kid friendly as well. In fact, the kid meals come out on a frisby that they can take home. The prices are reasonable, and there was plenty of places to park. I really hope this place stays! It is a must visit, and it can only get better. I have never tried Nicaraguan food until today. Right near the Post Office in Newberry, is a food truck called The Charcoal Grill. There is a small amount of parking, and they have some benches and stand-up tables for eating. I took mine home. They have a decent menu. I took home the Carne Asada, and the beef tacos. The Carne Asada is delicious, and the meat was seasoned well. I had white rice and sweet plantains. It also came with a sweet, vinegar type slaw. The beef tacos were perfect. They also came with the slaw, and sour cream. They offer 9 menu items all together, plus a kids meal, which is chicken strips and fries. The truck is clean, the staff is very nice. You can tell they love cooking, and are proud of the product they put out. It is really nice to have something different in Newberry. I know this place will do well. So go out and try something different. Support it. They have since moved permanently to Gainesville! This place is awesome. I have been twice already. The place is located at Tioga Town Center in Jonesville. 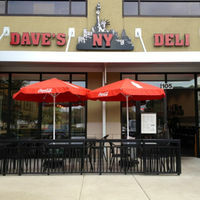 Dave's has indoor dining, and also a small outdoor area. They offer everything from Hot and cold subs, to bagels, Pastrami, Corned Beef, salads and much more. I had the Grilled Chicken Parmesan, with a side of potato salad. The food came out fast. It was really good, with the perfect amount of sauce and cheese. The menu is fairly large. there are so many subs to choose from. They have great side dishes, too. The place is kid friendly, but they offer beer and wine, as well. The place is clean, and the staff was friendly. This is the best deli in the area in my opinion. Quality food. I have never heard of this place until it recently opened up in Gainesville. I must say, I was impressed. The place is huge, with high ceilings and tropical looking fans spinning everywhere. The bar is huge, and has an outdoor patio. The main part of the restaurant is wide open and a fun and pleasant atmosphere. The staff is nice, clean and attentive. The menu is filled with soup, salads, burgers, pork, steak, seafood, chicken, tacos and more. 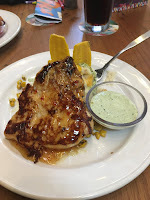 I ordered the Grilled Chicken with Cilantro-Crema. It was very good. I heard the Jerk Chicken pasta is amazing, too. They offer a kids menu, and they keep to the theme of the place 100%. I really recommend going here. It is just fun! The place is not cheap! It will not break the bank, but it is generally around $10 plus per dish. They offer a happy hour, with half priced appetizers. Many good drinks to choose from, as well.